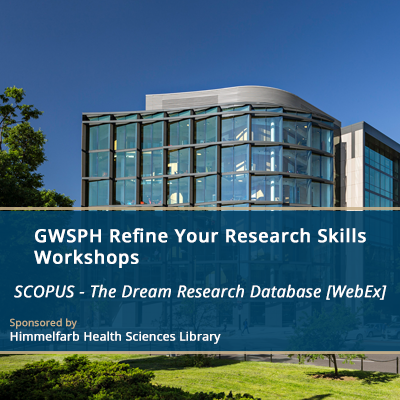 What can Scopus do for you? Cited and citing results, related research in a different discipline, new applications for your research -- Scopus has it all. Learn all of the librarian search tips to make your Scopus search as fruitful as possible. Please RSVP. Information needed to connect to the WebEx will be sent to registrants prior to the session.